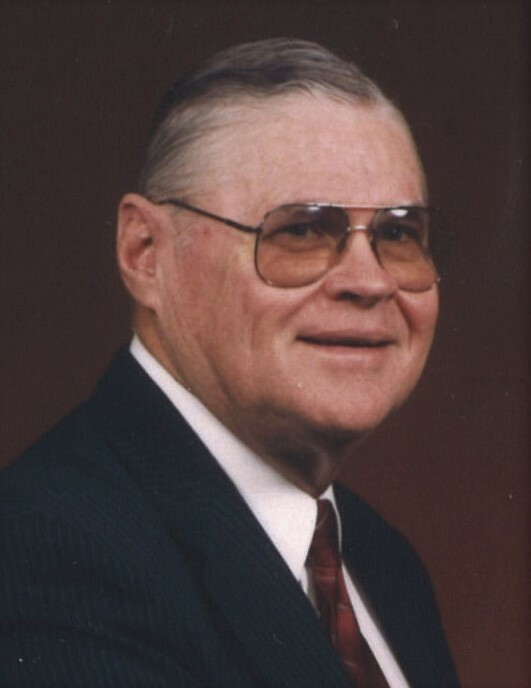 Paul E. Davis, 88, of Anderson, passed away on August 15, 2018. at home after an extended illness. He was born September 29, 1929 in Anderson, the son of Rev. Oscar and Laura (Brashear) Davis. He graduated from Frankton High School in 1947. He went on to receive his Bachelors and Masters Plus Degrees from Ball State University where he excelled in baseball for four years. Prior to his teaching career, he was offered a professional contract with the New York Giants baseball team. In 1951, he began teaching at Leach School. From 1953 to 1969, he taught History, Government, and Drivers Education at Frankton High School. He was the Varsity Baseball coach for 15 years bringing the first Sectional Championship of any kind to Frankton High School. He was recently honored with the naming of the Frankton High School baseball field, Paul Davis Stadium. He was also the Varsity Basketball coach for four years. He was Athletic Director for six years where he started the Frankton Football Program. From 1969-1981, he was Athletic Director and Principal of Madison Grant High School. From 1981-1989, he was the Assistant and Superintendent of Frankton Lapel Schools. Upon his retirement, he enjoyed playing golf in the Men’s League at Yule Golf Course, where he made two Hole-in-Ones. He also enjoyed spending the winters in Florida. He was a past member of the Ball State Varsity Club and Indiana Retired Superintendent's Association. Paul is survived by his wife Anne, whom he married August 5, 1949. Children Linda (Ronald) Reynolds of Indianapolis, Larry (Brenda) Davis of Frankton, and Stan (Gina) Davis of Alexandria. Grandchildren Renee (Zak) McKnight of Tennessee, Traci Reynolds of North Carolina, Brody Davis of Anderson, Justin Davis of North Carolina, Brice (Chelley) Davis of North Carolina and Kelsey (Joseph) McPhearson of Frankton. Great-Grandchildren Gabrielle and Chase McKnight, Emerlee and Adaline McPhearson, and Olivia Davis. Sister, Delpha Romero of Florida, Brother, David (Sharon) Davis of Anderson. He is also survived by Sister-in-law Roberta Ault of Arizona and Brother-in-law Bill Johnson of Florida and numerous nieces and nephews. He was preceded in death by his parents, Oscar and Laura Davis, Brother, Richard Davis, and Granddaughter, Bailey Davis. The family would like to thank Dr. Reddy of Community Cancer Care and Kindred Hospice for their care and support. Funeral service will be at 11:00 a.m. on Monday, August 20, 2018 at the Frankton United Methodist Church, “The Factory” with Pastor Nathan Whybrew. Burial will follow in K of P & I.O.O.F. Cemetery in Frankton. Visitation will be from 2:00-7:00 P.M. Sunday, August 19, 2018 at Frankton High School. Memorial contributions may be made to Frankton High School Athletic Department through Harper and Dunnichay Funeral Home.